We’re a traditional bunch here at the HelloFresh Farm. 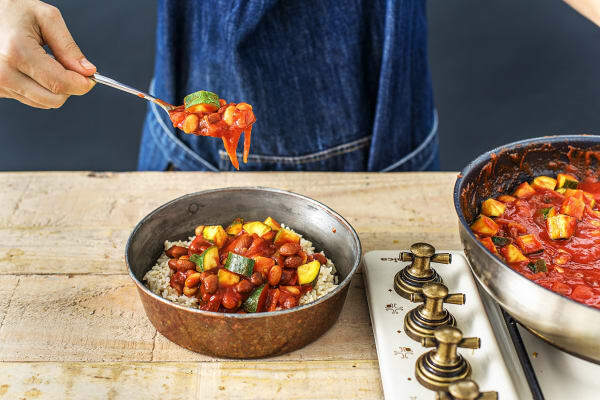 That’s why we decided to use chipotle, a smoky chilli paste, produced by local farmers in the Oaxaca region of Mexico, who use age-old methods to work the land and produce this rich, sweet, spicy concoction. Add bit by bit, it’s hot! Boil a large saucepan of water on high heat and add a pinch of salt. 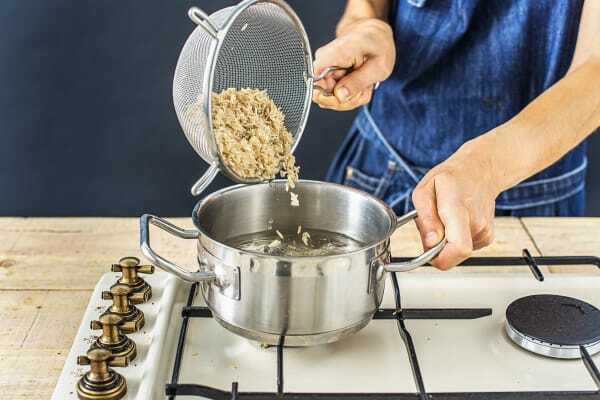 Rinse the rice in a sieve under running water for 1 minute. Pop the brown rice in the pan of boiling water, turn down the heat to medium and boil for 25 mins. Drain the rice in your sieve and return to the pan. Cover with a lid to keep warm and leave off the heat until the chilli is ready. Halve, peel and thinly slice the red onion into half moons. 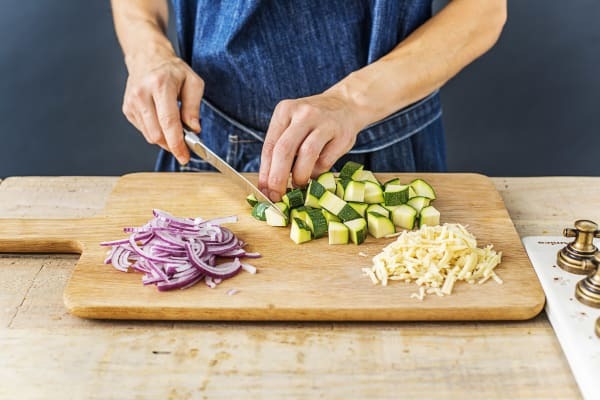 Quarter the courgette lengthways and then chop into 1cm chunks. Grate the cheddar cheese. Heat a splash of olive oil in a frying pan on medium-low heat. Once hot, add your onion with a pinch of salt and pepper. Stir your onion and place a lid on the pan. 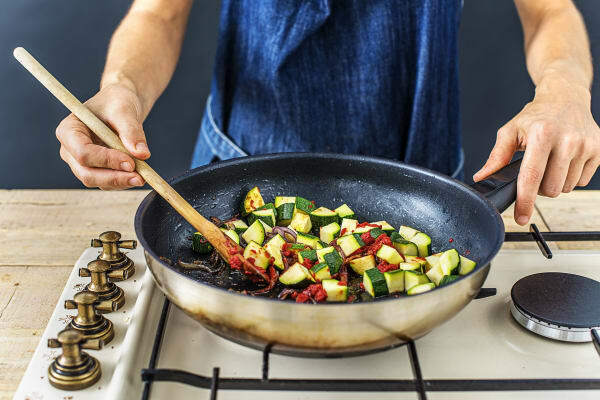 After 5 mins, take the lid off the pan, add the cumin, courgette and tomato purée and stir everything together. After 1 minute, add the diced tomatoes and a pinch of sugar (if you have some) and turn the heat to medium. 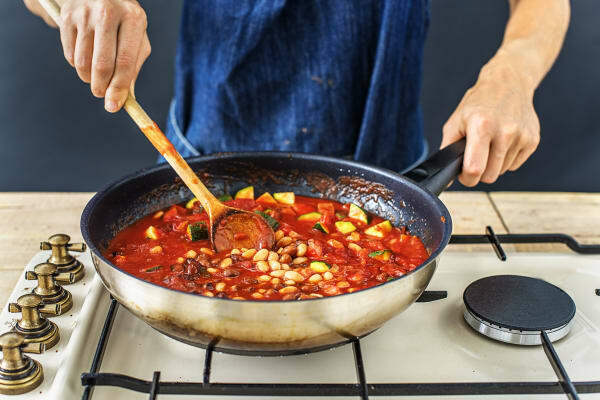 Drain and rinse the mixed beans in a colander and add to the pan along with the vegetable stock pot. Stir to dissolve the stock pot. Lastly, add the chipotle paste. TIP: Add a little chipotle paste at a time as it’s hot! Simmer on low heat for 5-10 mins. Zest the lime. TIP: When zesting (i.e. grating) the lime, don’t go down to the white part underneath the skin as this tastes bitter. Put the crème fraîche into a small bowl, and mix in a pinch of lime zest and a squeeze of lime juice. 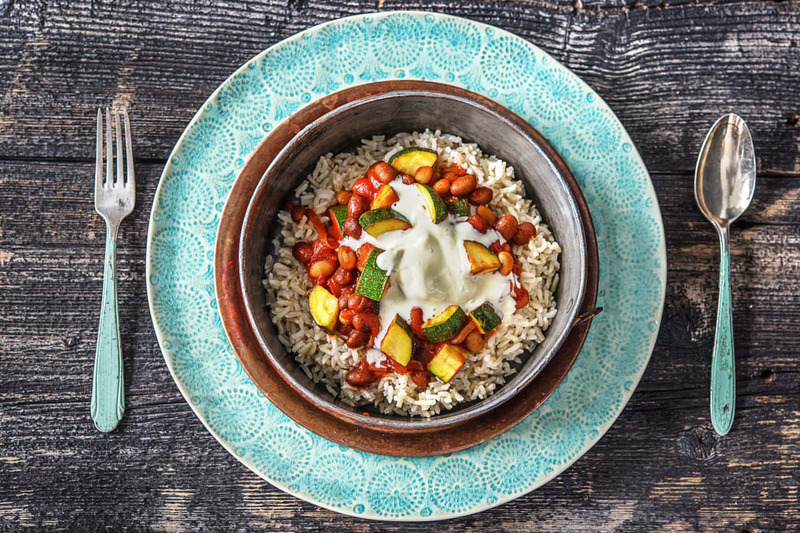 Serve your bean chilli with the brown rice, sprinkle the cheddar cheese on top and finish with a good dollop of citrus crème fraîche and a big squeeze of lime juice. ¡Buen provecho!